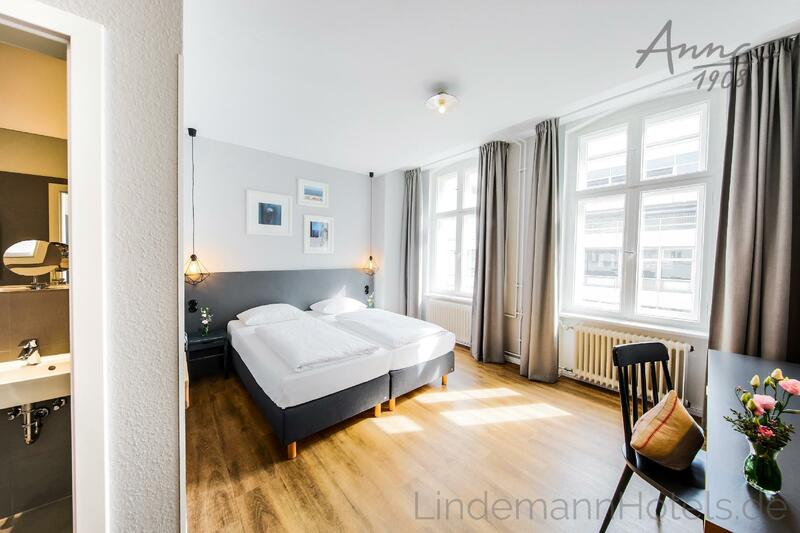 ﻿ Hotel Anna 1908, Berlin | FROM $54 - SAVE ON AGODA! 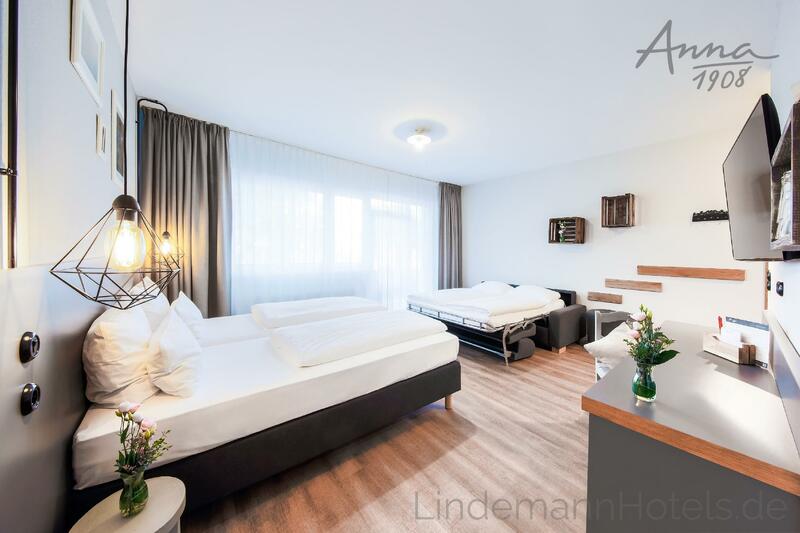 "The hotel is located in a nice green location of Berlin with..."
Have a question for Hotel Anna 1908? "Staff was kind and helpful." "The rooms where fresh - clean and well located to give maximum privacy to all guests." "The property is well maintained with a loverly reception and breakfast area." 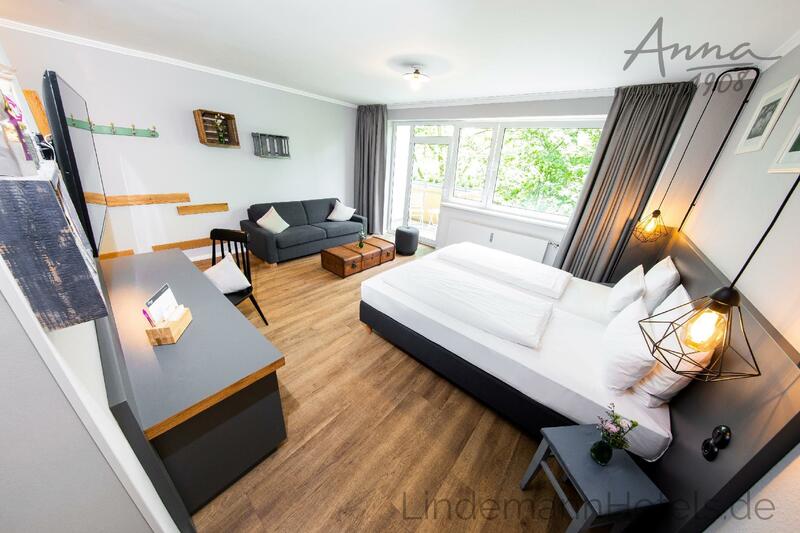 "Clean, friendly staff, comfortable small hotel with agood br..."
In Steglitz Zehlendorf, you will find the vibrant Berlin neighborhood just 8 kilometers from the tourist center of Berlin. Hotel Anna 1908 is in the midst of this district, where the Schloßstraße, the shopping mile for Berliners, is just around the corner. Likewise, the Freie Universität is within close proximity. Guests can easily access the city center by taking a subway to Kurfürstendamm. Hotel Anna 1908 is committed to make you feel "finally at home" after a busy day in the big city jungle. The reception, which is available from 6.30 am to 10.30 pm can advise you regarding the must-see destinations and tickets for public transport. All of its 46 newly renovated rooms meet a high standard and are well equipped with a safe. Meanwhile a mini bar and a balcony can be found in selected rooms. 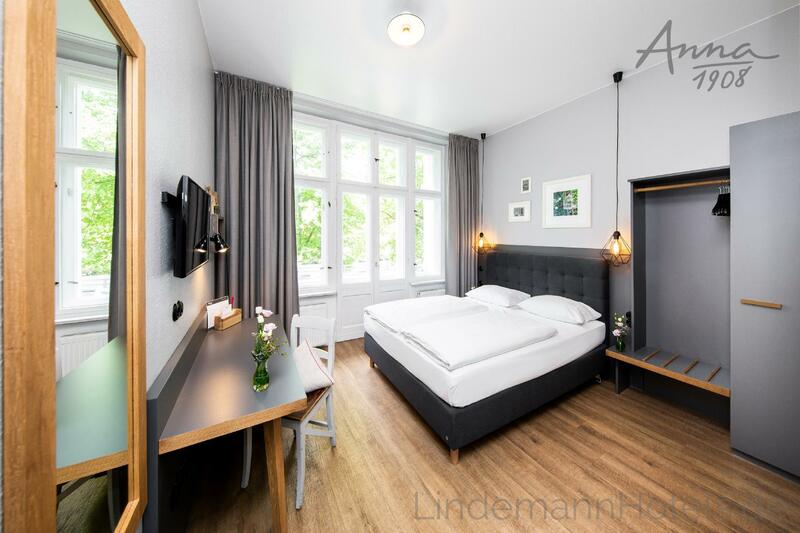 No matter what excites you about Berlin, you can enjoy it even more at Hotel Anna 1908, with its prime location and modern amenities. 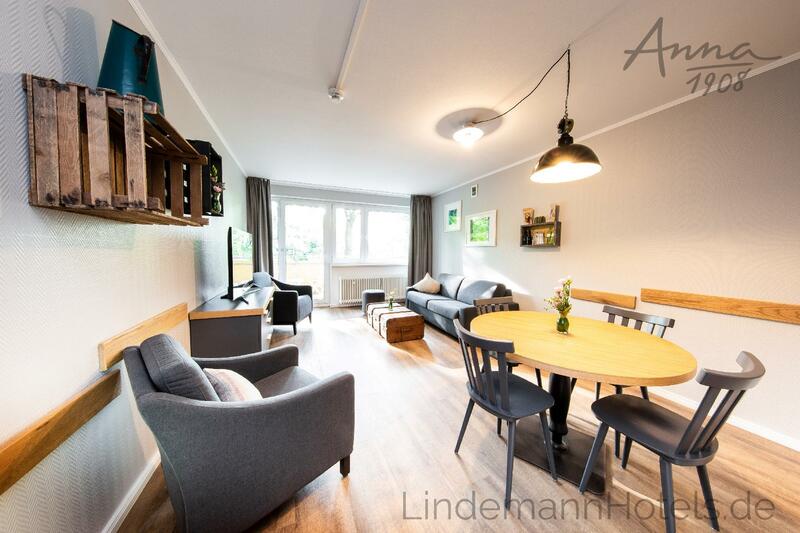 "Very handy apartment with the basics to have a nice stay." Clean, friendly staff, comfortable small hotel with agood breakfast. We did get upgrade to stay at their apartment, comfortable bed and clean linens. A short walk from Subway with plenty of restaurants and supermarkets. Very handy apartment with the basics to have a nice stay. We stayed in summer time, no air conditioning in the flat nor fans. In this aspect there is space for improvement. Staff was kind and helpful. Breakfast very well served but a bit expensive. Nice, comfy and clean Little hotel,but would be wonderful if they have tea and coffee maker in the room.They should add electric kettle in the room in the future. 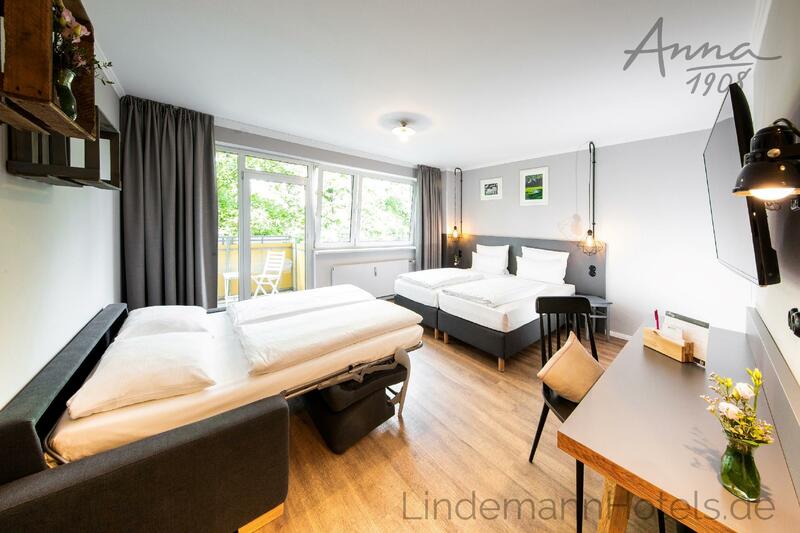 The hotel is located in a nice green location of Berlin with good shopping and dining around. The rooms where fresh - clean and well located to give maximum privacy to all guests. The property is well maintained with a loverly reception and breakfast area. We would be happy to return to stay in the future. The staff were all very friendly and helpful. The room had a cool design and everything I needed. Breakfast was delicious. For the price paid, this "boutique hotel" was definitely subpar. 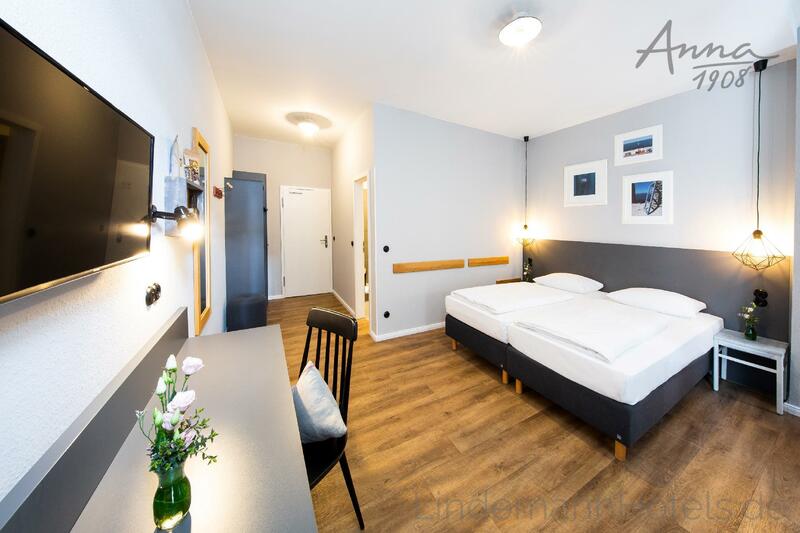 The biggest problem is that I had booked a family room, but only received a standard room, so I actually overpaid 20€, this is totally unacceptable. Good value for the money. Clean, central and spacious rooms. Breakfast is expensive compared to what you get so we decided to eat out. Some staff where friendlier that others. Séjour d’un jour, emplacement de l’hôtel vraiment très bien à deux pas du métro, juste en face d’un parking couvert, et des magasins. La chambre était vraiment très propre et plutôt bien aménagée, le lit d’enfant était préparé à notre arrivée, le plus, il y avait même un petit balcon ! Un hôtel que nous conseillons ! Personal im Service sehr freundlich, Personal am Empfang sehr unflexibel und unfreundlich. Sehr schönes Hotel in einer guter Lage in Steglitz. 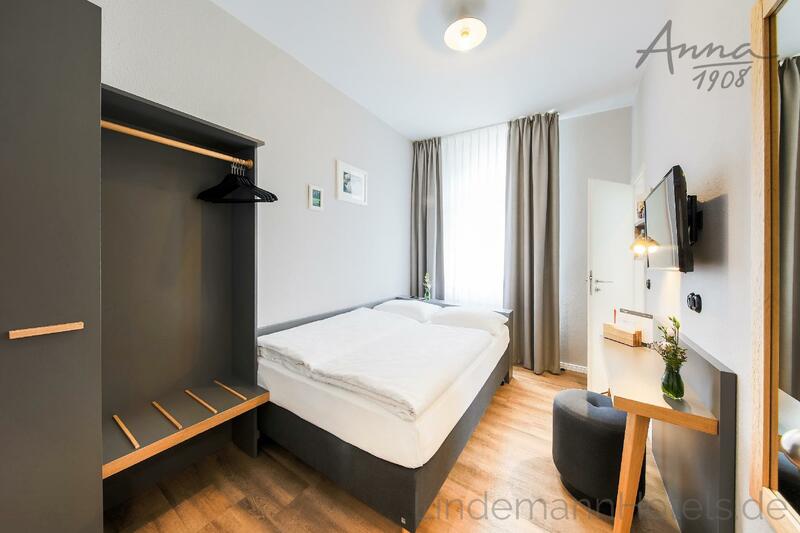 Schöne, mit Stil eingerichtete Zimmer und ein freundliches Personal. Tolles Frühstück mit allem was das Herz begehrt. Würden jederzeit wieder kommen. Im regulären Fall wäre Frühstück im gleichen Preis enthalten. Also kein Schnäppchen. ...machen Lust auf weitere Aufenthalte. Ich habe in Berlin die Premium Messe besucht. Mein Drei tägiger Aufenthalt im Hotel Anna war sehr angenehm für mich . Würde immer wieder dahin. Die Lage ist perfekt. Wir haben dort gut geschlafen. Als kleinen Tipp kann ich das Parkhaus gegenüber empfehlen, wenn ihr mit dem Auto anreist. Tagespauschale beträgt 3,20 Euro.